Bought this frame a couple years ago as project to build. Want to start getting it built but can't find any of the info I got with frame when I purchased it. We have searched high and low. No one can find any info on this bike at all! It’s that old. Sorry we couldn’t help..
My own search did not bring up anything useful either. 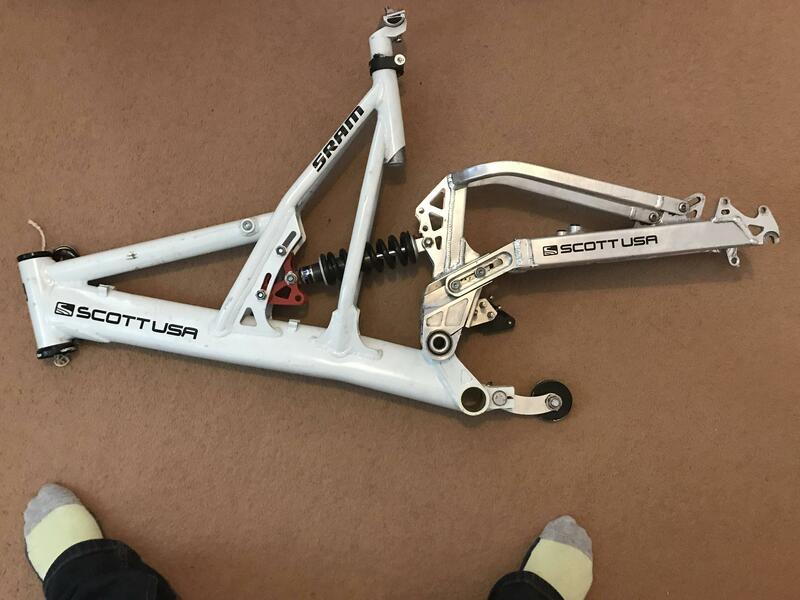 I think this is either some other bike with Scott decals or an one-off prototype, given frame finish and configurable linkage. 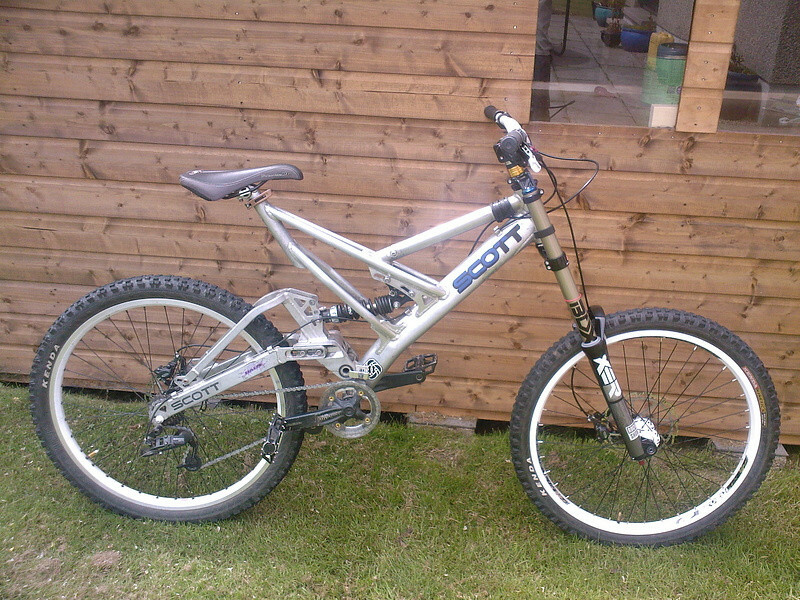 Update: This is Scott FX DH 1996. Confirmation link. Not the answer you're looking for? Browse other questions tagged identify-this-bike downhill or ask your own question. What type of frame could this be? What type of Cinnelli frame?